During the coldest time each year the Matariki star cluster comes rising up for the first time in the eastern sky. This occurrence marks the beginning of an important time of year – the Māori New Year. This is a time for coming together with whānau (family) to think about the past year, plan for the future, and to take action. In doing this, we come to understand how each member of our whānau plays their own special part. Sharing in, and appreciating the wisdom and skills of our family members (especially our elders) can help us to shape what we do for and in the world. 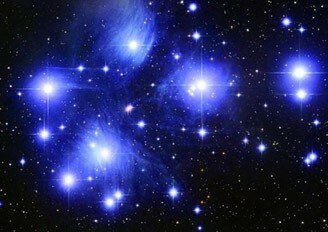 Did you know that the seven stars of Matariki are a family too? 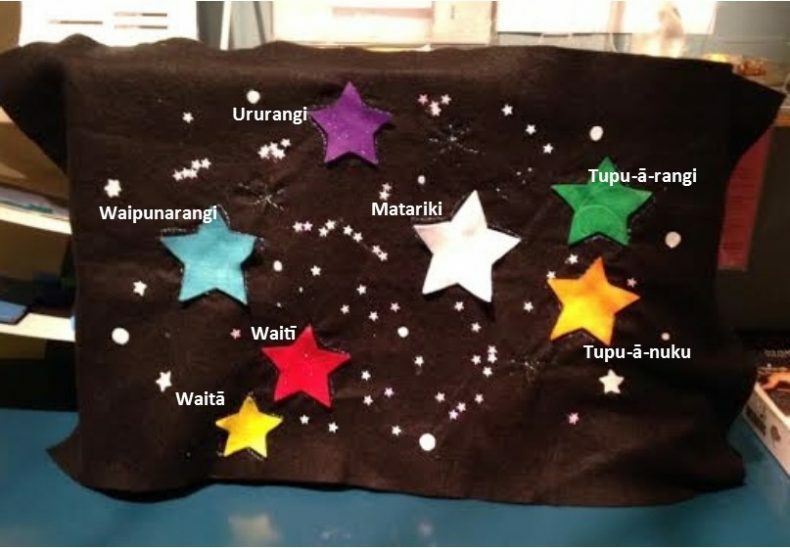 According to our iwi in residence, Ngāti Toa Rangatira, the star Matariki is the whaea (mother), surrounded by her 6 daughters: Tupu-ā-nuku; Tupu-ā-rangi; Waipunarangi; Waitī and Waitā; and Ururangi. The journey taken by these stars across the sky is also whānau orientated – it is to come and visit their tupuna wahine (great grandmother), Papatūānuku. 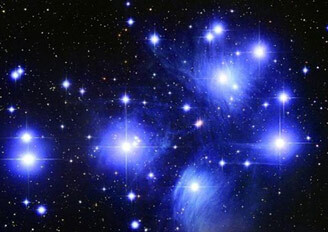 During this visit, each of the stars help Papatūānuku to prepare for the year to come, using their unique qualities or gifts to bring mauri (life force or energy) to her different environments. Whilst spending time with their kuia, they also learn new skills and gain new knowledge from her, which they guard and pass on to others. 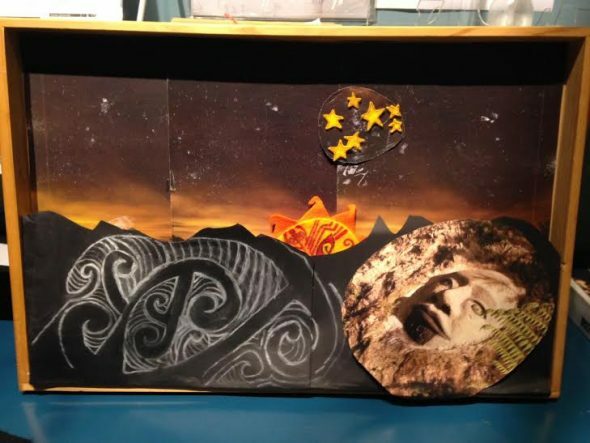 In this first section of our blog series, Te Papa Education hopes to introduce you to each of the seven members of this star whānau, so that it may support you and your whānau in marking Matariki this year. 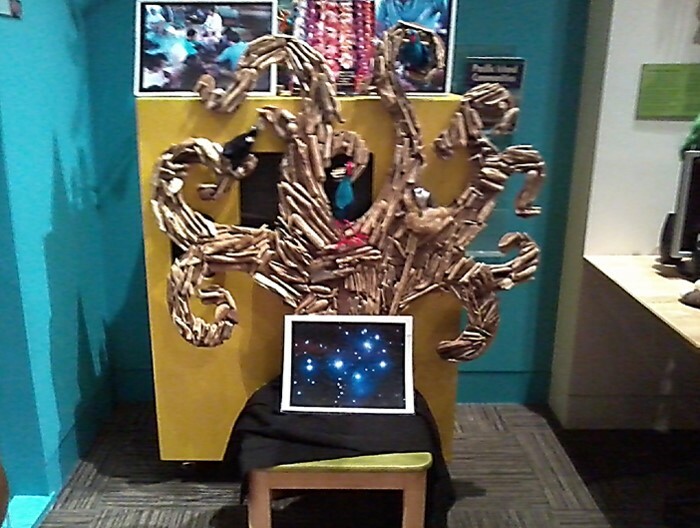 Ideas for activities for young children based around each star will be included too. Tupu-ā-nuku is the eldest of Matariki’s daughters. She spends her time with Papatūānuku tending to the different growing plants. She pays special attention to making sure they have everything they need to grow big and strong so they can produce kai (food) rongoā (medicine) and kākahu (clothing materials). When we see her shining we are reminded that we all have our own special time and place, and to spend time growing our strengths, our pūkenga, as well as that of our friends. Sprout your own kūmara! Lay your kūmara in damp sand, or suspend it in a jar of water using toothpicks. Keep in a warm place. After a couple of weeks, you will notice shoots growing off the kūmara. When the shoots are about 10 centimetres long, pull them away from the original vegetable. Plant your kūmara in yoghurt pottles and water them well. Give them to members of your whānau as Matariki gifts. Harakeke (New Zealand flax) is not only only one of the most versatile clothing materials used by Māori; the seeds, roots, and leaves also have use in Māori medicine. This alone is enough to give this unique plant a great relevance to Matariki. Looking at pā harakeke (flax bushes) is, however, also a great way in which to explore the idea of whakapapa with young children. At the centre is the rito (centre blade), which symbolises the child. The leaves surrounding it symbolises its mātua (parents). The next layer symbolises the tūpuna (grandparents). Find some flax in your environment, and get acquainted! Share the traditional folk-tale Stone Soup. This version of the story was rewritten for World Food Day in 2008, and “focuses on how we can help other people” with manaakitanga (hospitality). Make your own hearty winter soup from scratch and share it with people in need in your community. Watching this telling of Growing Vegetable Soup by Lois Ehlert could inspire you to make, prepare and care for your own garden patch. Learn more about the yummy vegetables we can eat, and how they nourish our bodies. This poster from vegetables.co.nz is a great resource! Grow one of your strengths this Matariki! Are you really good at kicking a ball? Te hanga pikitia ātaahua (creating beautiful pictures)? Telling stories? Giving cuddles? Remember, practice makes perfect! 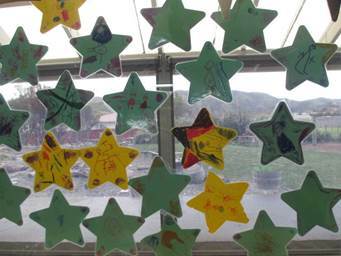 Pencarrow Kindergarten in Wainuiomata sent us this picture of their star display. They laminated the stars and stuck them to the window so that whanau could read the back too. 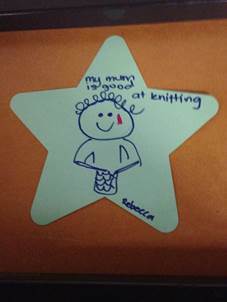 The kaiako have extended the activity by asking their parents to make a star for their child too, acknowledging what they think they are good at. Tupu-ā-rangi loves to sing, and has a song for every occasion! Papa takes her to sing along for te wao nui (the great forests), and all the children of Tānemahuta. Her beautiful voice revives the forest. Because of her actions, the manu (birds), the mokomoko (lizards) – indeed all the creatures of the forest – share their waiata (song) too, which fills the world with joy. Tupu-ā-rangi learns these songs too and holds them close to her heart. We learn from her the importance of sharing our gifts with others, and appreciating those shared with us. Learn a new waiata especially for Matariki! Tirama tirama ngā whetu could be a good option. There are plenty of other options on the NZ Folk Song website too! You might to put on a special concert for your whānau and friends. Winter time can be hard for our birds. They cannot always find enough food, and get very tired trying to stay warm. The Kiwi Conservation Club has some great ideas for creating your own bird cafes! Check it out here. Make special thank you cards for the people in your life who help you out, or enhance your life, through the sharing of their talents. Go and visit a forest/bush area in your community. 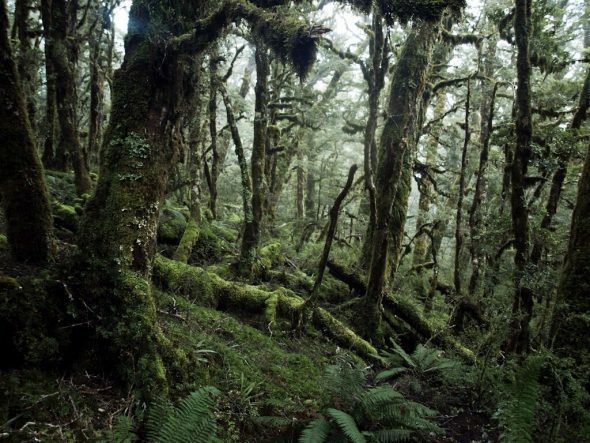 Here in Wellington, the Otari-Wilton’s Bush could be an option. Go on a scavenger hunt to help you to get more familiar with it’s inhabitants (this Bush City resource could support you). Create your own music there to help revive the forest by making instruments out of found materials, like pine-cones and stones, and playing them. Explore taonga puoro (Māori musical instruments) more broadly. Find pictures of the instruments. Listen to the tracks on the CD Te Kū Te Whē, or on the Richard Nunns’ website or Radio NZ website. Come and visit the cases in the Mana Whenua exhibition at Te Papa. Try to describe the sounds of the different instruments – they usually imitate sounds found in nature, like the wind, the sea, or birds and insects. Create movement and/or artwork to show your response to different taonga puoro. Create representations of the children of Tāne-mahuta – animals and plants – and make your classroom or bedroom into a great forest this Matariki! Te Papa botanists (plant scientists) are finding out more everyday about the native flora (plant life) of New Zealand. You can help them make more discoveries.Get involved in our DeCLASSIFIED exhibition citizen science project – Ferns with Te Papa on NatureWatch NZ. Check out Part 2 of this resource, which will provide introductions to the other stars of Matariki: Waipunarangi; Waitī and Waitā; Ururangi; and Matariki. Looking for more Early Childhood resources? All of our blog posts can be found here. Thankyou for sharing your amazing Matariki resource. I am very excited to use it again this year. I found the story about Matariki and her six daughters wonderful and inspired the children in my centre to want to act out the roles. I noticed this year that a short film tells the story and there is acknowledgement to Ngati Toa iwi. I am wondering if this beautiful story is retold the same way in Tamaki Makaurau with Ngati Whatua? As the children are so interested I would like support them to create props that would help them retell the story again this year. Then, to capture it on film and make a pukapuka with them. It would be put together with great respect for the mana of the story and we would place acknowledgements in it also to Ngati Toa. I would appreciate your feedback/advise before I take this special Matariki project on further. An amazing resource for everyone. Tino pai to mahi!!!!!! Thanks so much for this resource. I can’t wait to use the idea of the stars with the children and whanau of Pahiatua Kindergarten. Thanks for the knowledgeable resources!! Hi, thanks for a great resource! Just wanting to plan ahead, when will you be posting part 2? Thanks. We are so pleased to hear that the resource has been helpful to you all the way up in Matamata! Part 2 is not far away! Thanks for the wonderful resource! There are lots of ideas we can work with in our Matariki programme with our Kea, Cubs and Scouts. Awesome resource!! Our Tamariki here in Tokoroa will have fun, and because we have previously visited Te Papa, they will be able to make connections. Thank you for sharing. Kia ora Rachel. You are more than welcome 🙂 Part 2 will be posted soon! Ngaa mihi Rebecca! Thank you for providing this connection for us to Te Papa! Nga mihi nui ki a koe mo tenei tino taonga. Tino rerehua Te korero nei, rawe Nga rauemi mo Nga tamariki, mauri Ora! This is a fabulous resource for us at the tree house bilingual montessori . we continually struggle to find appropriate reasourses that suit our Kaupapa. Thank you. We have now joined your blog and look forward to more excellent information . this one we can use in many areas of our curriculum not just for matariki .